There were lots of things wrong with former Premier Christy Clark’s plan to produce liquefied natural gas but let me start with the good. At least it was a plan that labour and business could agree to. It was a provincial strategy that had workers and industry pulling together in the same direction. It was an ambitious plan but unrealistic from the start. Markets for were weak and no one wanted to develop the plants. Now one of the last players, Petronas, has pulled the plug. I can only speculate why they bailed out only one week after the BC Liberals were defeated. Was there some deal with the Clark government to provide concessions such that the LNG plant would be built regardless of whether it was viable? It’s not inconceivable considering how much political capital Clark had invested in the project. Or was it because of Canada’s so-called anti-business climate, including high taxes, environmental reviews, and Indigenous land claims? Instead of recriminations, let’s celebrate the passage of Petronas says economist Jim Stanford. Stanford has a unique perspective of LNG projects in B.C. and Australia. He’s a professor at McMaster University in Hamilton, Ontario, and lives in Sydney, Australia. Stanford’s analysis shoots down an impression I had. I wrote that Australia was a LNG success story and that Australia’s early entry into the market was why B.C.’s plants were doomed. I now realize that Australia’s experience was not as rosy as I thought. When Asian gas prices started to surge in 2009, Australia decided to chase after those markets. Unlike Canada, Australian developers faced few environmental hurdles and Australia’s Indigenous people had little negotiating power. What followed was a spectacular construction boom in which $200 billion Australian was spent on LNG plants. The boom had a dramatic effect on Australia’s economy. Their dollar, now at par with Canada, spiked up to $1.30, resulting in what economists call the “Dutch disease.” When Australia’s currency rose dramatically, the price other countries paid for Australia’s products rose. As well, imports were cheaper. Exports fell, imports rose and Australian factories could no longer compete. Australia became deindustrialized including the shutdown of their auto industry. With the drop in gas prices, Australia’s LNG online plants are marginal. Boom towns that sprung up during the construction years are becoming ghost towns. Housing prices have collapsed. Gas plants are selling into markets at discounted prices. Unlike Canada, Australian plants don’t have to supply the country first and so, ironically, there is a shortage of gas in Australia and a glut of gas on world markets. Domestic prices have doubled because of diversion to export markets. B.C. has no economic strategy. Only one per cent of our GDP comes from mining, oil and gas and most from finance and real estate. Our new NDP government faces a challenge. In our polarized political climate, unifying strategies are rare. Just ask former Premier Clark. It’s a rare thing when the views of president-elect Trump and Canadian activists align as in their opposition to the Trans-Pacific Partnership. Trump has vowed to kill the deal the day he is sworn in. Trump has NAFTA within his sights, too. With the North American Free Trade Agreement threatened by the belligerent president-elect, it’s vital that Canada look elsewhere. Canada already reached a deal with South Korea in 2014 and has engaged in talks with Japan, India and China regarding similar agreements. Ongoing irritants plague all of these trade deals because corporations insist on corrupting them with their own interests under the label of “free trade.” One of those irritants is the investor-state dispute settlement provisions (ISDS) which allow companies to seek damages from governments when local regulations interfere with profit making. Canada was stung by an ISDS under NAFTA in which a Delaware-based company proposed expansion of a quarry in the Bay of Fundy. Nova Scotia rejected it on environmental grounds. The federal government rejected it. Then a secret NAFTA tribunal approved it and we are stuck with a bill of hundreds of millions in compensation. 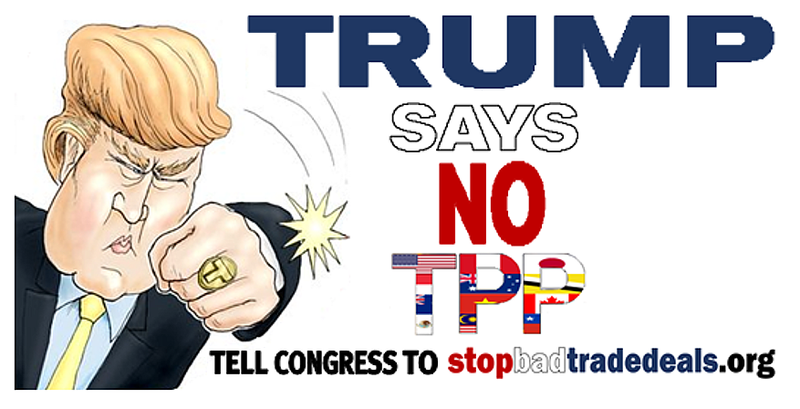 Tribunals aren’t a necessary part of trade agreements when you consider we have a court system. It’s not like we’re dealing with developing countries whose court systems are unknown or viewed as dodgy. CETA is a slight improvement over NAFTA. Members of the tribunal will be appointed by countries instead of corporations giving it the aspect of an international court. Trade deals have been muddied by the addition of non-trade provisions, although I doubt that’s what motivates Trump. A good economy will feature work rather than growth for growth sake. Some progressives think that negligible growth is inevitable, perhaps even desirable. Too much growth, so the argument goes, consumes too much of the Earth’s resources. It doesn’t have to be that way says Economist Jim Stanford. New jobs can be created when a nation decides to. There are many ways to create growth. One is through capitalism and the unsustainable plunder of the Earth’s resources which focuses on fat dividends for investors. Another is through work. It’s not like there is a shortage of things to be done, much of it in the service sector: better care for seniors, health care, child care, education, and the arts. Many more jobs wait in green technologies; building and repairing roads and bridges, schools and cultural facilities, public transit. Jobs will continue in areas such information technology and as energy extraction (we won’t stop using fossil fuels tomorrow). Increased service sector jobs are a novel concept when seen through the lens of Neoliberalism where growth is seen as a function of profit. And it’s a mistake to think that growth is even their primary motive. Greed is. Capitalism is organized to reinforce the wealth and power of a few. Neoliberalism does not encourage growth. To reduce input costs, wages are driven down. Workers are disempowered through de-unionization and precarious work. “These are all anti-growth policies,” says Stanford. A measure of growth is the Gross Domestic Product: the total value of goods produced and services provided in a country. In order to keep up with the growth of population and productivity, the GDP should grow by about two per cent annually says Stanford. Any slower and unemployment increases. The growth of jobs in the service sector may sound a bit fanciful because of resistance from capitalists. Try as they might, they haven’t managed to squeeze much profit out of health care and education. It’s not fanciful when you remember that we did it once before. 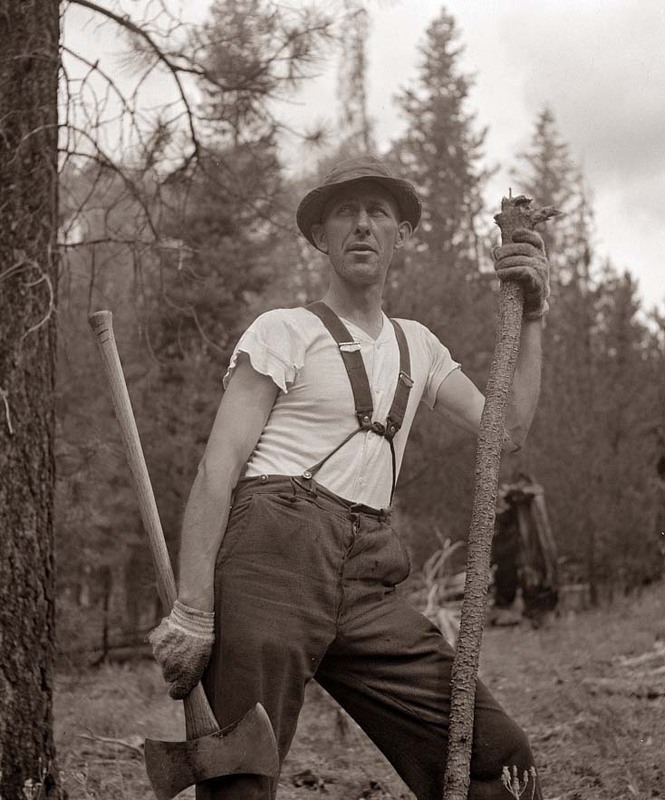 Canada and other Western nations pulled themselves up by the bootstraps during the Second World War by creating jobs that met a national objective, not corporate profits. Unemployment disappeared within months. 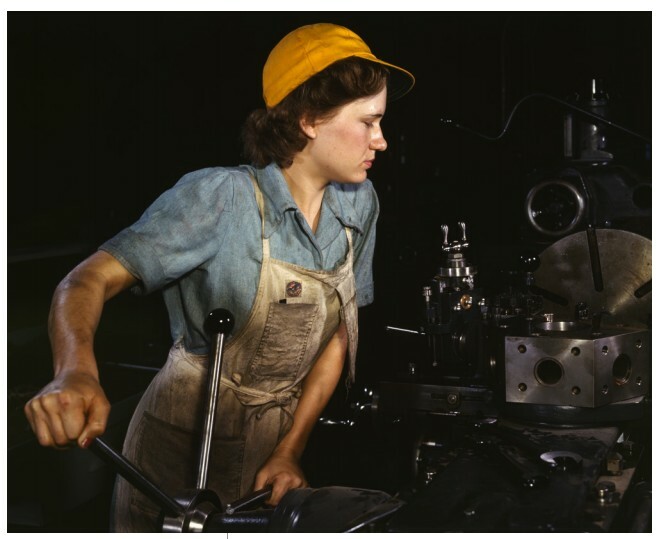 Untapped sources of labour were drawn into the workplace, particularly women. The bloom of job growth lasted decades with a reduction in poverty and improvement of life expectancy. Who’s going to pay for it? During the war, money was never a constraint in spite of the hard times of the Great Depression. With modern credit, raising capital is easier than ever. Private financial institutions create money out of thin air whenever it suits their profit-driven motives, as I discussed in my column of December, 2015 How to make money. Governments can similarly create money, as they did when they saved banks and industry after the Great Recession of 2008. The only thing stopping the growth of service sector jobs is the government’s fear that they will offend the sensibilities of corporations. As Canada emerges from the Dark Decade, we need to get back on track with a modern economy. The Harper government’s plan to make Canada an “energy superpower” was a disaster for a number of reasons. The plan reversed our progress as an industrial nation; it insured that Canadians would become the highest per capita emitters of CO2; it failed to anticipate the vagaries commodity markets. As long as we are hewers of wood and drawers of oil, we are just a colony of economic powerhouses. Mel Watkins identified this failed strategy as the “staples trap” in 1963. Back then, after World War II, Canada had shifted its workforce from agriculture to factories. By 1999, the high-value sectors of automotive, aerospace, transportation, electronics and consumer goods employed 60 per cent of the workforce. At the same time, the resource-sectors of agriculture, energy mining and forestry together only employed one-quarter. We’ve these cycles before where expansion in one part of the world triggers a global commodities boom. This time it was the modernization of China that triggered the boom. In the past it was the reconstruction of Europe and Japan after the war, and before that it was the rise of the U.S. as an industrial power. During the Dark Decade, Canada invested heavily, not only in political resolve to exploit the dirty tar sands, but in the human and financial capital needed to dig the stuff up. It will take time to shift gears but Canada must shed its colonial mentality. It’s happening. Enbridge has invested $1 billion in wind-energy. Alberta has budgeted $3.4 billion for renewable energy. 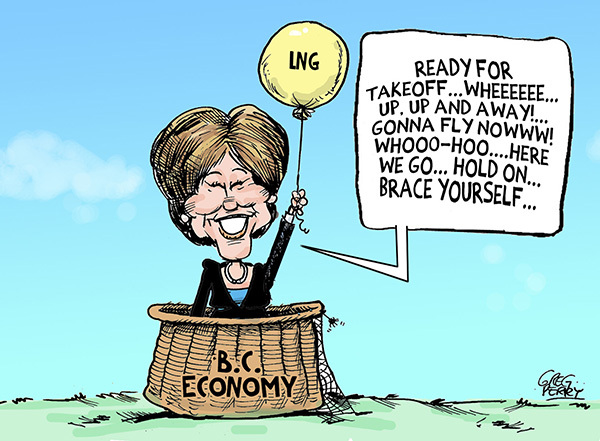 B.C.’s government still has grandiose dreams of a fossil-fuel economy with liquefied natural gas. While Premier Clark hasn’t yet admitted it, that plan is history. Big business has benefited from policies of the Harper government in the past but lately they’re not feeling the love. While the ways of government and business may coincide, the objectives are not necessarily the same. Take taxes, for instance. Harper wants to reduce taxes because, as a libertarian, he wants to reduce the size of government. Tax cuts insure that governments will be starved of cash and be unable to fund social programs like Health Care. Big business like tax cuts because they lower input costs and make them more competitive. At other times, the goals of government and big business diverge. Harper is counting on income splitting as a vote-getter. Income splitting is not helpful to business. As former Conservative Finance Minister Jim Flaherty warned, it benefits only rich Canadians. Income splitting leaves most Canadians paying more taxes to make up for the tax break for a few. But besides being a questionable vote getter, it appeases certain conservatives with an antiquated view of family. This is the kind of family from the misty past where mom stays home to raise the kids and dad goes off to work. It’s a fantasy that has long since evaporated with the needs of two-income families and the desire of women to have careers. Now Harper thinks he has found another vote-getter: the outrage over the difference between what we pay for goods compared to Americans. He will interfere in the marketplace by investigating Canadian businesses that charge more. Why is Harper promoting these business-unfriendly policies? Both the CEO of the Chamber of Commerce and the union economist agree on the answer. “Now, Ottawa insiders recognize this as theatre,” says Beatty. The Harper government is making a show of appeasing cross-border shoppers knowing that nothing will come of it because investigators are understaffed. In 2013, a Senate Finance Committee studied the price differential and found that changing import tariffs and reducing our high regulatory costs would help but Harper would have nothing to do with real solutions.